Fees associated with Moroccan PCT national phase entry as well as other patent fees are available in the fee calculator. The term for entering national phase of PCT in Morocco is 31 months from the priority date. The restoration of this term is not possible. Substantive examination should be requested simultaneously with Moroccan PCT national phase entry. 2. 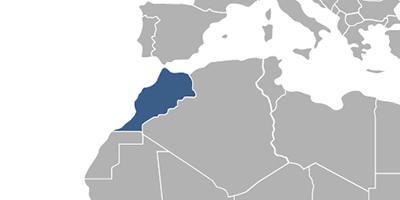 As of March 1, 2015, it is possible to protect inventions in Morocco via entering the European regional stage and its further validation in Morocco.